This column will be devoted to the subject of Local Benefits and how this can be best achieved in Guyana. 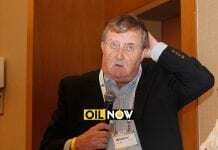 This topic has received extensive coverage, both in OilNOW and in the local Guyana press. I have been following the various commentaries about “local benefits” and, in particular, whether or not they should be definitive in nature or, as some have suggested, non-prescriptive. The previous commentaries that I refer to include the following, but are not representative of the entire discussion. Let me say upfront that I am a firm believer in a legislated / regulatory system whereby certain principles should be laid out so that both operators and contractors have an understanding of exactly what a country (in this case, Guyana) should expect. This is critical for the local supply community but also very important for operators who will be involved in the development of the resources offshore Guyana. When discussing local benefits for Guyana, I look to the Canadian model as an excellent reference point. In this model, there exists an excellent set of guidelines that Government has instituted to protect the rights of Newfoundland, as the host province, for “full and fair opportunity” and “first consideration.” But, I must add that first consideration is only applicable as long as the product or service offered is competitive in market price, quality and delivery. This is paramount, if oil projects are to be competitive on a global basis. When oil and gas was discovered off the coasts of Newfoundland and Labrador as well as Nova Scotia in 1979, there was considerable debate as to who actually owned the resource and equally, if not more importantly, who had the right to collect the relevant royalties and impose regulations. Subsequent legislation under The Atlantic Accord Act provided for recognition as to the rights of Newfoundland and Labrador to regulate local content issues. 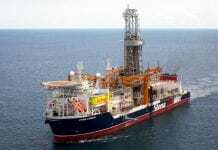 It is fortunate for Guyana that there is no debate over jurisdiction over the offshore resources. Having said that, the legislated solution achieved in Canada with The Atlantic Accord Act provides some excellent insights into the matter of local content and local benefits. For the benefit of readers, I am providing a brief overview of this most important piece of legislation and have highlighted the significant reference to local content. The Government of Canada and the Government of Newfoundland and Labrador have reached an Accord on joint management of the offshore oil and gas resources off Newfoundland and Labrador and the sharing of revenues from the exploitation of these resources. The Accord will be implemented, to the extent possible, through mutual and parallel legislation to be introduced by both governments into the Parliament of Canada and the Legislature of Newfoundland and Labrador. (h) To promote within the system of joint management, insofar as is appropriate, consistency with the management regimes established for other offshore areas in Canada. What follows represents the local benefits provisions from the legislation that have successfully driven the Newfoundland and Labrador service and supply community as it obligates the industry to ensure full and fair opportunity to participate in the supply of goods and services on a competitive basis. It is the objective of both governments to ensure that the offshore area is managed in a manner which will promote economic growth and development in order to optimize benefits accruing to Newfoundland and Labrador in particular and to Canada as a whole. The legislation implementing the Accord shall provide that before the start of any work program for exploration or field development, a plan must be submitted satisfactory to the regulator for the employment of Canadians and, in particular, members of the Newfoundland and Labrador labour force and for providing manufacturers, consultants, contractors and service companies in Newfoundland and Labrador and other parts of Canada with a full and fair opportunity to participate in the supply of goods and services used in that work or activity. In its review of Canada and Newfoundland benefits plans, the regulator shall seek to ensure that first consideration is given to services provided from within Newfoundland, and to goods manufactured in Newfoundland, where such goods and services are competitive in terms of fair market price, quality, and delivery. The regulator shall also require that any such plans include particular provisions, consistent with the Canadian Charter of Rights and Freedoms, to ensure that individuals resident in Newfoundland are given first consideration for training and employment opportunities in the work program for which the plan was submitted. Plans submitted to the regulator, for the use of goods and services and for employment, including plans for any specified purchases, shall be reviewed by the regulator in consultation with governments which shall advise the regulator on the extent to which they provide for full, fair and competitive access. The regulator shall have the authority to approve such plans. So what does this all mean for Guyana! Contrary to the view held by some that prescriptive legislation/rules on local benefits will scare away oil companies, these provisions have not only benefited the local supply and service community, but also the oil companies themselves. In saying that, one must realize that if the local supply community is involved at an early stage then that supply community is therefore better equipped to provide the ongoing service and maintenance for the life of the field. 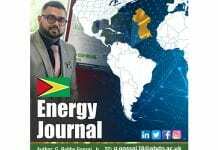 I vividly recall a discussion in an early 2017 meeting between GOGA and the Energy Chamber of Trinidad and Tobago where I introduced myself as someone who had considerable oil and gas experience. I informed participants I was very interested in seeing Guyana achieve significant local content in the future development of its oil and gas resources offshore Guyana. I jumped up just as quickly and stated that that “I am from the East Coast of Canada where we have very well-defined and legislated local benefits and we have or have had oil companies such as Exxon, Chevron, Suncor, Shell, BP, Hess, Nexen, Statoil, and Conoco along with others operating in the area. Local benefits provisions in development plans are not restrictive in any way. At this stage in the development and operation of the gigantic Hibernia field (1.6 billion barrels and counting), almost 100% of those that work offshore with Exxon’s “jewel in the crown” are residents of Newfoundland and Labrador. As well, I would argue that the same percentage of local residents work in the service and supply community. And, as one who has had some 40 years experience, I would argue that the achievement of these high percentages came about as a result of a strong emphasis in the early days on local content. This emphasis on local content legislation should be critical to Guyana. That is not to say that these jobs and business surrounding the development of Newfoundland offshore resources came overnight; however, without a strong local content policy, I am sure that we would not have achieved as much as Newfoundland and Labrador has. But – and there is always a but – we should never forget that first consideration for employment as well as the supply of goods and services is contingent upon being competitive in terms of market price, quality and delivery. This is particularly critical in today’s environment of lower world prices for oil and gas. 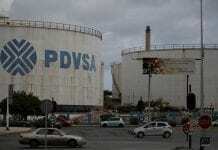 Oil companies need to have assurances that Guyana is competitive with other areas of the world. One must never forget that oil is a commodity and can be produced in areas of the world that are more competitive. What it means (or at least to me) is that the local content strategy being developed by Guyana should be as strong as possible but it must recognize the fact that Guyana is ill-prepared to achieve a high level of local content at the present time. You note that I say “at the present time” as present-day Guyana finds itself exactly where the supply and service community in Newfoundland and Labrador was some 40 years ago. However that can and will change over time. Many people ask me how Guyana can achieve what we did here in eastern Canada. My first suggestion relates to the training of not only Guyanese residents to work offshore, but also to the businesses who hope to capture opportunities related to the servicing of Liza 1 and other developments that will follow. This was achieved in Newfoundland by our government instituting many practical training programs (developed in consultation with the industry) – both at the university level, as well as at the trades level. These programs were often extensively subsidized by our government. Not only were the educational institutions subsidized, but also subsidies were extended to the trainees. Perhaps some of the much discussed $18 Million USD could be earmarked for this. One of the many ways utilized by the Newfoundland and Labrador to educate the business community was the formation of joint venture companies which saw the Newfoundland partner achieving 51% ownership of the joint venture. 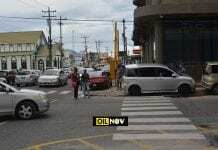 I understand this is happening in Guyana now. Many of these joint ventures contained an exit clause which was triggered after a number of years thus allowing the local company to eventually hold 100% of the business. In addition, the local Newfoundland and Labrador government enabled the local business community to visit other jurisdictions to witness firsthand the activities and best practices associated with offshore development and often helped with the associated costs. This is something that I am not seeing in Guyana to date. I, along with my colleagues, would welcome the opportunity to have Guyanese business community members visit Newfoundland and Labrador for a similar experience. Nothing gives one a greater appreciation than literally being “on the shop floor”. I would also suggest that a strong local benefit policy would indeed assist Exxon in their desire to ‘look back 10 years from now and say we helped Guyana’. The trainers/educators at educational institutions – both university and trade schools – must be adequately trained; I would hope that the content of the various training programs is being developed in consultation with industry and tailored to their specific industry needs. 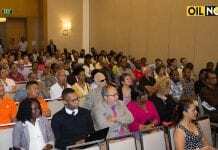 Lastly, the Guyana business community needs to visit other jurisdictions to gain full appreciation of the intricacies involved in servicing the industry as these FPSOs will sit out there for at least 20 years. Supply and servicing from Guyana is not only good for the country – it is also good for the operators. I do hope that the upcoming conference scheduled for February 2018 addresses these issues as, in my opinion, with first oil coming in 2020, time is running out. Stay tune for future commentaries. 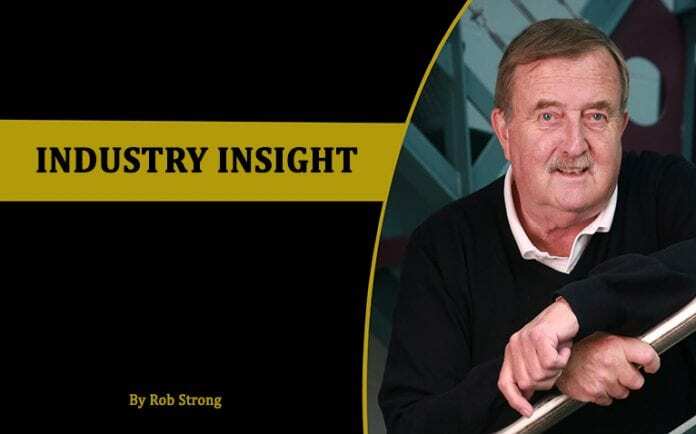 Rob Strong has 40 years experience in the oil & gas industry comprising primarily of positions in the service and supply facet of the offshore oil and gas business, as well as many years involvement in various industry associations.